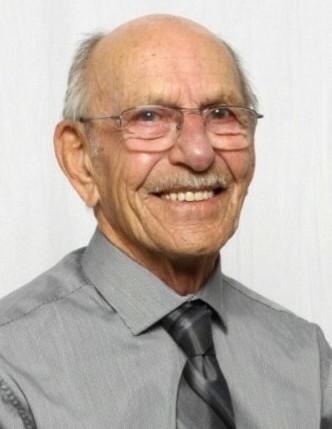 Obituary for Robert Casper Zunti | Binkley's Funeral Service Ltd.
Robert Casper Zunti, at the age of 80, passed away peacefully on October 11th, 2018 at the Western Seniors Home in Leader, SK with family by his side. He was born on March 12, 1938 on the Zunti family homestead north of Luseland, Saskatchewan. Robert was the 17th of 18 children. Robert was predeceased by his parents (Jacob and Paula Zunti), brothers (Joe, Morris, Fred, Edward, Jim), Sisters (Hedy, Eva, Bertha, Mary) and Grandson Brett as well as many nieces and nephews, brother and sisters-in-law. Survived by his wife Marlene of 51 years, Cheryl (Murray Warrington) Children (Kody, Karissa, Krysta), Sean (Marilyn Benoit) Children (Jaden, Shaylee, Trey, and Quinn), Tara (Kevin Tumbach) Children (Brittanna, Carson, and Daylin), Terry, Children ( Erin, Cassidy, Breanne, and Spencer), Bert, Children (Jack and Erica), Nadine (Dean Eichinger) Children (Lyndsay, Mackenzie, and Braiden), Patricia, Children ( Mitchell, Mikhaila, Alexys, and Brooklyn). Robert attended Deer Lodge School North of Luseland, followed by St Thomas College in North Battleford. He dabbled in many trades, mechanic in Peace River, AB, sawmill in Golden, BC all before buying farm land near Major, SK. Robert married Marlene Fischer in 1966. They spent their first few years farming in the summers and their winters in Calgary, AB where Robert worked in the electrical trades. While residing in Major he involved himself in Farmers Union, Heartshill RM, member of the Wheatboard, The Catholic Church in Major, as well as neighbourhood handyman. Robert worked as the custodian of Major School until his retirement in 2003. He enjoyed fishing, hunting, playing cards, many sports, and visiting with family and friends. They sold the farm in the fall of 2015 and moved to Leader Saskatchewan. All 24 grandkids were a very special part of Robert’s life. He loved nothing more than knowing how they were doing and what was going on in their lives. Robert’s kindness and compassion will be greatly missed.